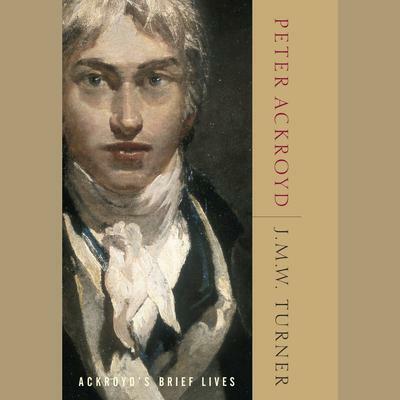 In this second volume in the Ackroyd’s Brief Lives series, bestselling author Peter Ackroyd brings us a man of humble beginnings, crude manners, and prodigious talents, the nineteenth-century painter J. M. W. Turner. Joseph Mallord William Turner was born in London in 1775. His father was a barber, and his mother came from a family of London butchers. “His speech was recognizably that of a Cockney, and his language was the language of the streets.” As his finest paintings show, his language was also the language of light. Turner’s landscapes—extraordinary studies in light, colour, and texture—caused an uproar during his lifetime and earned him a place as one of the greatest artists in history. Displaying his artistic abilities as a young child, Turner entered the Royal Academy of Arts when he was just fourteen years old. A year later his paintings appeared in an important public exhibition, and he rapidly achieved prominence, becoming a Royal Academician in 1802 and Professor of Perspective at the Academy from 1807–1837. His private life, however, was less orderly. Never married, he spent much time living in taverns, where he was well known for his truculence and his stinginess with money.